On Tuesday afternoon, I had the pleasure of attending the launch event for Perfumista, the newest scent from the luxurious Bond No. 9 collection. Perfumista is best described as a New York City's fantasy neighborhood as well as it is Bond's 10th Anniversary fragrance. It was an afternoon of tea and macaroons and a little history about the Bond No. 9 brand. I was honored to meet Laurice Rahme, she is a very sweet and interesting woman. I love her confidence and knowledge. I was quite intrigued by her stories and charm. Ms. Rahme shared with us that she was born in Paris but has lived in New York City for the past 30 years. Which is where she got the inspiration for her extensive perfume line. Bond No. 9 was founded in 2003, they celebrated their 10th anniversary this week. Each perfume is inspired by a neighborhood in NYC, each scent captures something so special about some of the best known streets and areas around the city.I loved that Ms. Rahme took the time to tells how she created some of her best selling scents, what inspired her, what is in each bottle and even what her favorites are and how they came to be. 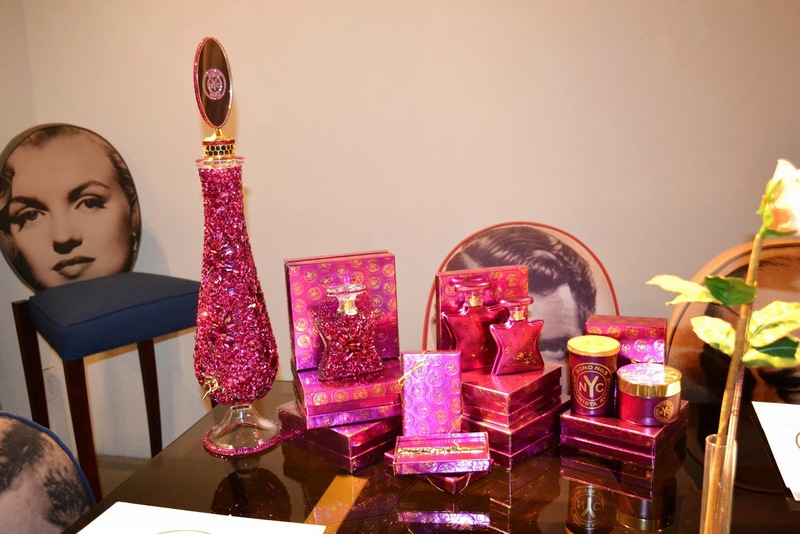 We were even able to preview the Holiday Collection, which is not yet in stores. Believe me when I say, you will not be disappointed. Not only is each bottle a true piece of art and holds a piece of New York sentiment but the packaging in itself is simply stunning. The detail and beauty is evident just as soon as you step inside the Bond boutiques. There are five boutiques around the city and the perfumes are also sold in major department stores like Saks and Harrods. As well as places such as Dubai, Russia, Canada, Japan, Mexico, Brasil among others. 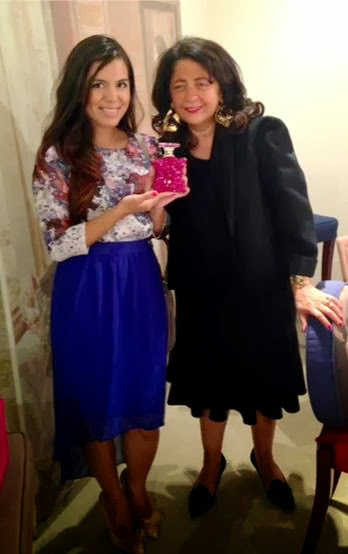 Here is a pic of Laurice Rahme and I, I am holding the collectors bottle of the Perfumista fragrance, it is studded with different shape and size Swarovsky crystals in a gorgeous fuchsia (valued at $1,000). Photos do not do it justice. It is stunning! One of the exclusive and fun things about Bond No. 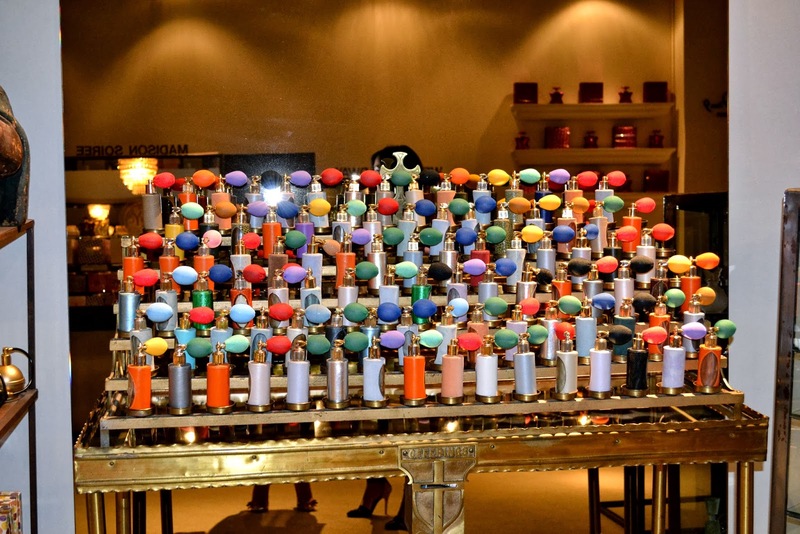 9 is that you are actually able to create your own scent using any of the over 50 fragrances. 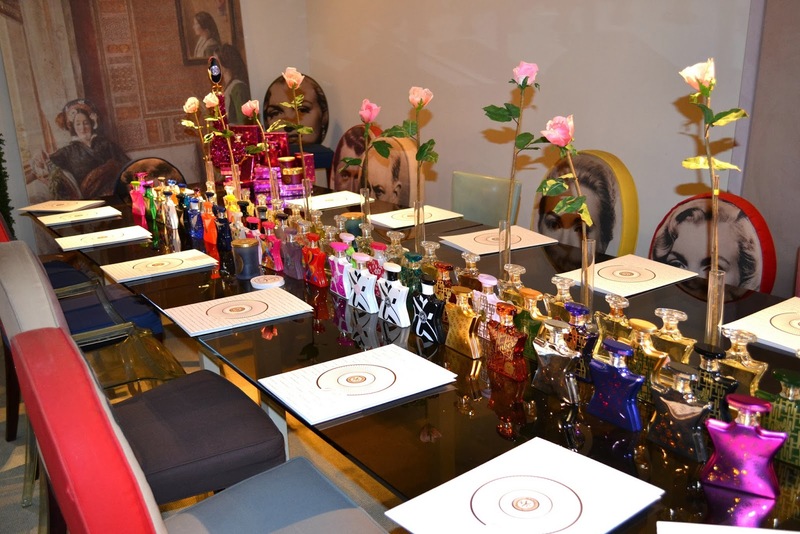 You can create your very own customized and refillable bottle of perfume. 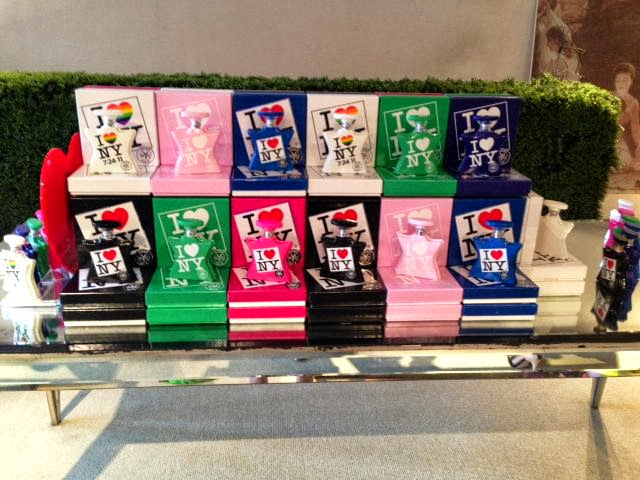 And of course package it in any of these pretty and very chic pump spray bottles. Thank you so much to Ms. Rahme for taking the time to sit with us and share the history behind the brand. This was by far my favorite brand event. It was intimate, the boutique is any girl's dream and the history is simply inspiring. I am excited to wear my Perfumista fragance! Here is a quick little recap on what I wore... a chic and ladylike outfit for great evening. Have a fabulous weekend chicas! But tell me, do you own any of these exquisite Bond perfumes?